Delia white women’s shirt. The unique style of this white women’s shirt has been created to mirror a traditional Bavarian bodice complete with blue lacing on the front that matches the blue side panels. 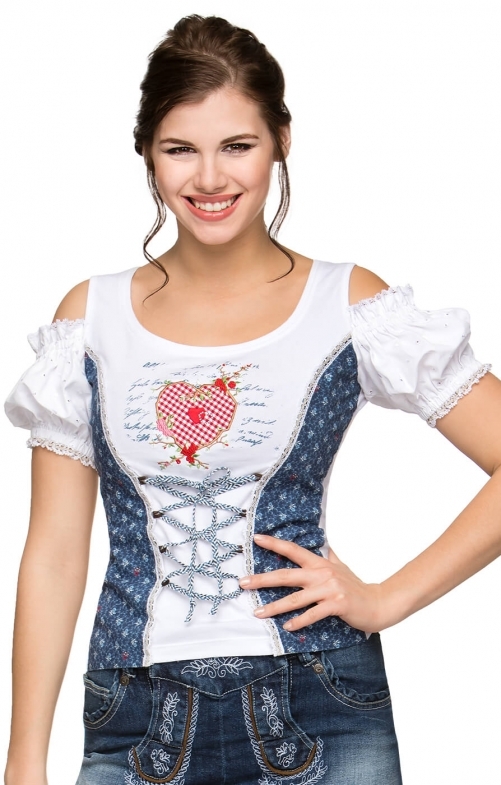 Women who have a love for the classic Oktoberfest look will find this a great garment to wear for all occasions. Short lacy sleeves complete the look. Sehr schneller Versand!! TOP Artikel! Sehr empfehlenswert! Macht Spaß beim tragen uns sieht super aus.